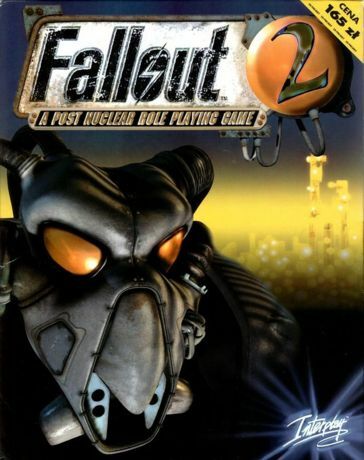 Fallout 2 follows closely upon its predecessor. Published only a year later (1998) than Fallout, Interplay had taken the development team from Fallout and created Black Isle studios. The engine is the same, the gameplay is the same, but what is different is more. There are more quests to do. More places to go. More companions to recruit. More factions to ally with. More choices to be made. Fallout 2 is more open, but less focused. The variety and freedom in the game means that less time was spent on the main story line, because in a way there isn't one. The starting point and ending point are the same, but there are a great many paths you can take. This means that each path gets comparatively less attention. Also, you have to end up at the same place no matter what choices you make, so there are some constraints on the alternatives to make this happen. Fallout presented you with a stark moral choice, and that only near the end of the game. Fallout 2 gives you those options much sooner. One complaint about Fallout was that the quests essentially forced you to be mostly good. This was seen as a flaw by some, so Fallout 2 has a number of quests that allow you to sink into the depths of depravity, if you so wish. The game shipped with a number of bugs, and many, but not all of them were fixed by subsequent patches. There are fan patches available to fix the remaining bugs. I don't know if this works if you download the game from Steam, but I imagine that it would if you bought it from Good Old Games. Fallout 2 is a great game to play to help you get your Fallout fix. After playing Fallout I definitely wanted more, and this is more. The sequel is not the equal of the original, but it is still worth a play or two. Fallout 2 does get bonus points for using "A Kiss to Build a Dream On" as its opening song, because that was my wife and I's first dance.